From a six foot Sequoia to an impressive eighty foot Olympia Pine, our commercial Christmas trees are designed to maintain professional quality display through multiple seasons of use in high traffic areas. 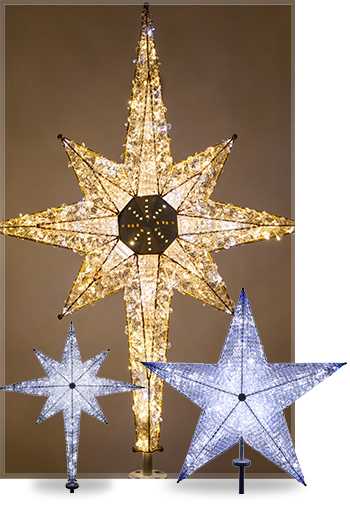 We carry over one hundred variations of indoor and outdoor rated commercial Christmas trees, many with customizable lighting options. So, whether you're decorating the grand foyer of an event space or creating the focal point to your town square Christmas display, we have the perfect tree for your needs. Yes, our trees are built to last and the variety allows for many creative possibilities. But other companies will probably make these very same claims. So, why work with us? When you choose Wintergreen, you're not just getting an amazing product, you're gaining access to a dedicated team of experts with decades of experience and the most efficient fulfillment team in the industry. 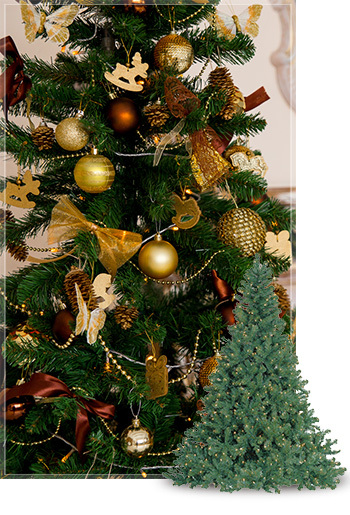 We stand by our commercial Christmas trees with real warranties. We have the knowledge and experience to address your specific needs, and we're here to help you when you need us. We're not just providing you a commercial Christmas tree, we're offering an unmatched level of service backed by a passion for what we do. 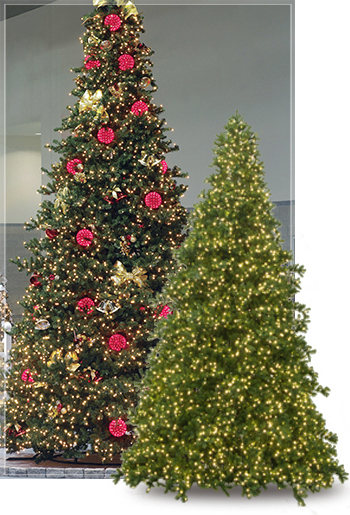 Our selection of indoor and outdoor rated commercial Christmas trees includes tower trees with galvanized steel frames and stackable rings, durable mini frame trees perfect for smaller spaces, and heavy duty pole trees with rolling stands and matching greenery collections. Commercial Christmas trees have thicker needles, sturdier branches and more durable wiring than their residential counter parts. Although our commercial grade Christmas trees share many traits in common, each variety has its own defining features. To help decide which tree is right for you, we have highlighted some of these unique characteristics below.